If you know my history, then you know that I “fell into” my first job in brand licensing while working at The Coca-Cola Company. Despite having earned an MBA, I had never heard of the brand licensing industry and had no idea how it worked. Since that time everyone I have spoken to who works in the licensing industry has shared a similar story. These were professionals that worked for Disney, Warner Brothers, Mattel, Hasbro, the NFL, MLB, FIFA World Cup, the Olympics and a host of other topnotch companies. Given its breadth and depth, this does not make sense to me. As such, I have made it my personal mission to help rectify this. 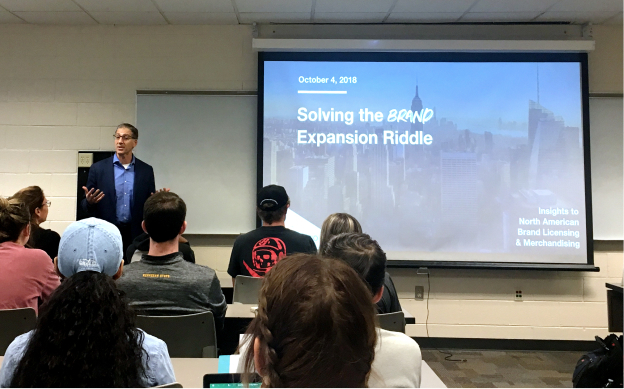 In the spring of 2018, I developed a Brand Expansion course designed for BBA and MBA programs using Expand, Grow, Thrive as the textbook. The course introduces students to the LASSO methodology and a wide range of concepts designed to enhance their knowledge and comprehension of brand expansion, extension and licensing. While designed for full-time students, this course is also suitable for executive education. The Stetson School of Business and Economics at Mercer University was the first to adopt my course. There, I taught the course and exposed my students to the $270 billion global brand licensing industry. Would you like to offer this course to your students? Want to learn more? Download the syllabus for a full overview of the course objectives and assignments. Contact me today to set up a consultation on how we can help prepare your students to enter the exciting world of brand licensing industry. When I first signed up for Pete’s Brand Licensing Course, I was very intimidated. Here I was, an undergrad student, days away from taking a course with an expert instructor and author on a topic I knew nothing about. Honestly, I wanted to retreat as quickly as possible, but Pete assured me that he designed this course for experts and non-experts alike; he was right. Pete made learning fun with real-life examples and case studies that sparked my interest in brand expansion, extension, and licensing. An entire world I never knew existed was revealed to me and inspired me to pursue a career path in this field. By the end of the course, not only did I know about the Lasso Method and how to use it, but I felt like a brand licensing expert. If I had the chance to retake this course, I would jump at the opportunity. Taking this Brand Management class with Mr. Pete Canalichio was an eye-opener on branding your business. If you are a Marketing student or even thinking about starting a business, please take this class from Mr. Pete Canalichio you will not be disappointed! 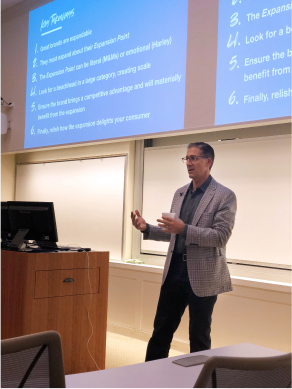 Professor Canalichio’s approach to Brand Management applies real-world business application while still in the classroom. 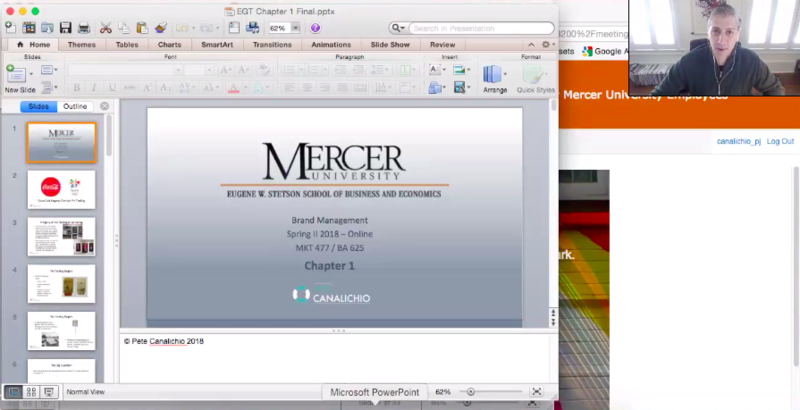 As an MBA student, I had high expectations for Professor Canalichio’s Brand Management class. Professor Canalichio not only lived up to my expectations but far surpassed them by bringing rich content to the classroom. Overall the tools Professor Canalichio provided stimulated my thinking and encouraged me to develop new ways to generate strategic growth through Brand development. In this course, Professor Canalichio prepares students to take on the business world by arming them with a fresh business approach and real-world application. 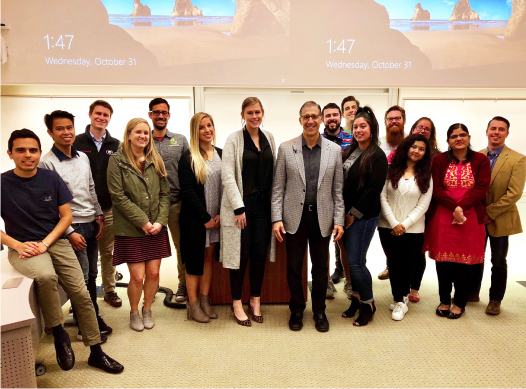 Taking the Brand Management course taught by Pete Canalichio was one of the best decisions I’ve made as a business student at Mercer University. Being that I am a former employee of The Coca-Cola Company who understands the value of branding, this course taught by this teacher was a phenomenal experience. Anyone who is interested in delving deeper into the Brand Management segment of marketing should make taking Pete Canalichio’s course a top priority. I guarantee you will walk away from it with a greater understanding and appreciation for a company’s branding operations.